New Dragon Quest games are always big deals in Japan. And big deals need special edition hardware like this. 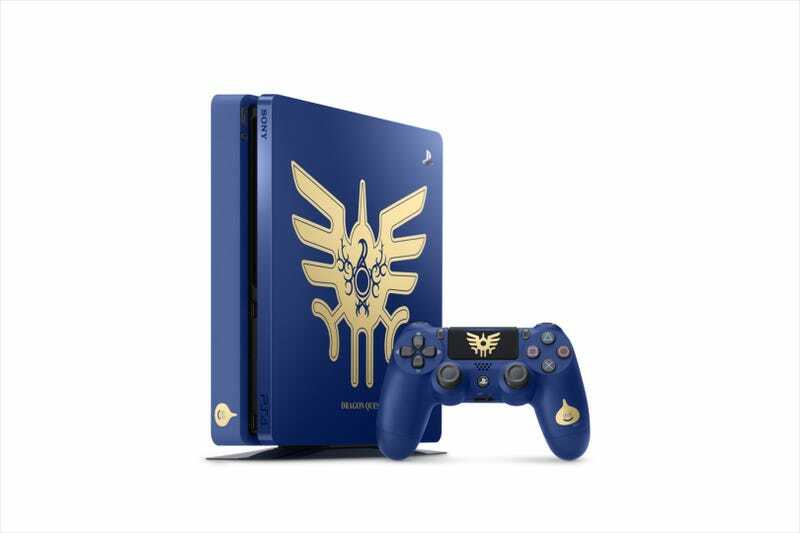 Sony is calling it the “PlayStation 4 Dragon Quest Edition.” The console, which comes with a 1TB HDD, and its controller are covered in DQ. As 4Gamer reports, it even comes in a special box! Oh, and the game, DQXI. As with the Dragon Quest Heroes PS4, this edition also has a Metallic Slime USB cover (though, this one is gold). The PlayStation 4 Dragon Quest Edition will be released on July 29 in Japan.